The KekCoin, KEK, decentralized crypto-currency was released on July 31st, 2017 and works without being controlled by any monetary authorities. 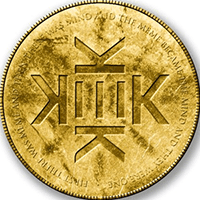 The digital currency is not mineable, so instead, you are able to buy KEK via an exchange service. It uses the proof of stake (pos) consensus and POS 2.0 algorithm. For the latest from KekCoin, you can find them on social networks, such as Telegram, Reddit and Twitter. We don't have any wallets listed for KekCoin yet, check back soon! We don't have any debit cards listed for KekCoin (KEK) yet, check back soon! We don't have any price charts listed for KekCoin yet, check back soon!